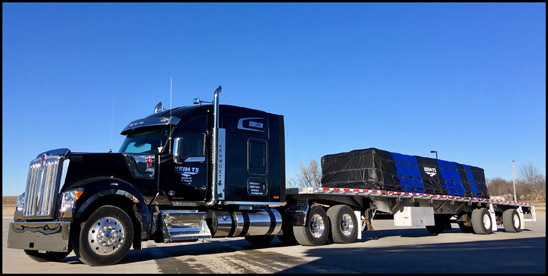 SABETHA, Kan., Feb. 21, 2019 – When one of the first Kenworth W990s rolled up to the headquarters of Keim TS, a transportation services provider specializing in flatbed and dry van cargo, there were nothing but smiles across the faces of drivers and office staff. The W990 Keim purchased is a fully-loaded 76-inch mid-roof sleeper with the W990 Limited Edition interior and Driver’s Studio package. Since receiving the W990 at the end of 2018, the W990 has traveled more than 12,000 miles. The lucky driver? Ralph Cowan, an 8-year veteran Keim TS driver, who operates from the company’s terminal in Jasper, Tennessee. This isn’t the first time Keim TS has been one of the first companies to own a new driver-focused Kenworth model. 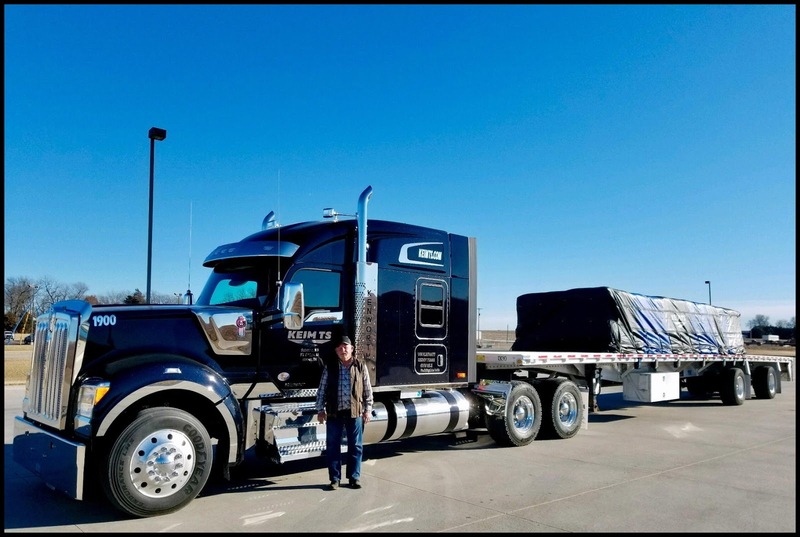 Back in 2015, Keim TS was the first company to purchase the Kenworth ICON 900 Limited Edition. At the time, the fleet mostly was comprised of Kenworth trucks. Today, the Keim TS fleet of 206 trucks are all Kenworths, with 162 T680s, 42 T880s, one ICON 900, and for right now, one W990. Forty-two more W990s are on order. For Keim, truck efficiency and driver retention is key to running a successful fleet. Keim and his drivers have always appreciated the look of the long-hood. 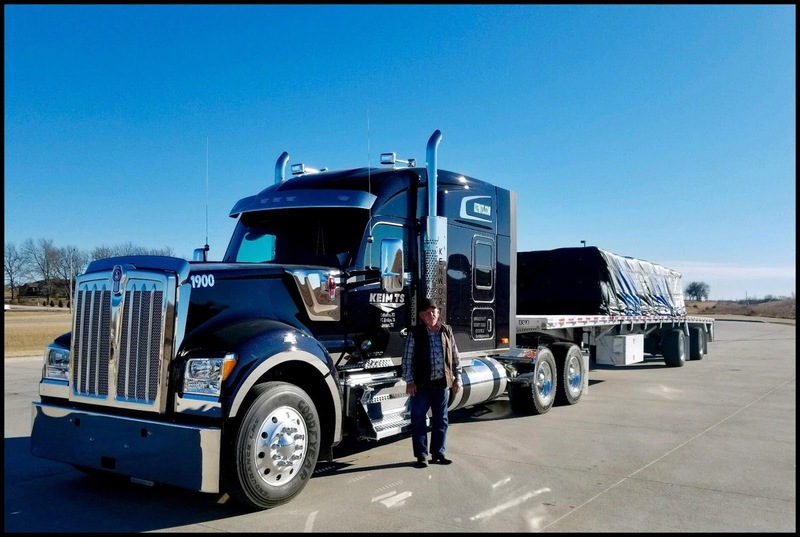 While giving his drivers the classic long-hood with the W990, Keim said he believes the fleet also will get an enhanced fuel economy return compared to the W900 – a key factor in his decision to purchase W990s. “In the flatbed business, we haul freight that isn’t nearly as aerodynamic as the dry vans, so it’s important to us to run trucks that are the most fuel-efficient in the industry. The W990’s more aerodynamic body, complemented by the classic long-hood look, is the best of both worlds. Our drivers are so excited for the rest of our W990s to arrive,” he said. Keim’s longest tenured drivers will receive the W990s as part of the company’s driver rewards program. The W990s on order will be spec’d the same as the pre-production model Keim purchased, and selected drivers will have the opportunity to choose the paint color and graphics – a way to personalize each truck. 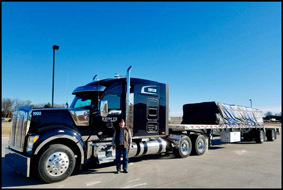 Typically, Keim trades in all of his trucks after two to three years of service, however, that may change with the W990. Within the year, Keim TS is expecting to open a new terminal at a location just south of Kansas City, as a way to keep up with growing market demands. The new terminal is located just off of I-35, just south of metro Kansas City and six miles from a major rail yard. “We expect to see quite a bit of added long-haul and regional freight deliveries coming in from our new terminal,” said Keim. “To keep up, we’ll be growing our fleet and recruiting new drivers. In addition to the 42 W990s we purchased, we also added 30 T680s. Keim TS’s loyalty to Kenworth is deep-rooted, dating back to the days when Stan Keim’s parents Glen and DeAnn began purchasing Kenworth trucks from founder of MHC Kenworth, Ken Hoffman. While Hoffman has passed on the torch, he and the Keim family remain close.